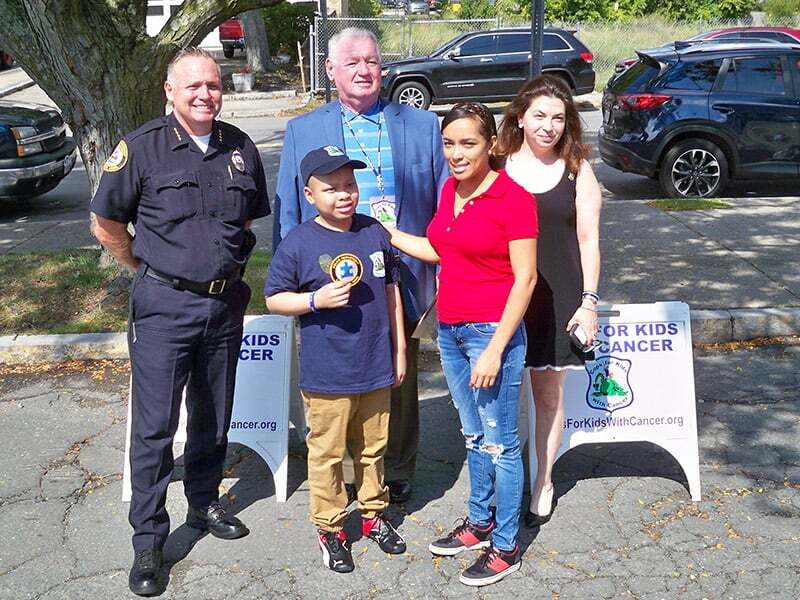 On Friday, September 15, 2017, Ed McNelley and Stacey Abato ( CFKWC ) made a donation at the Lawrence Police Department, to 9 year old Carlos Escarraman and his Mom Giraldi. We would like to Thank Chief James Fitzpatrick and all the men and women of the Lawrence PD. 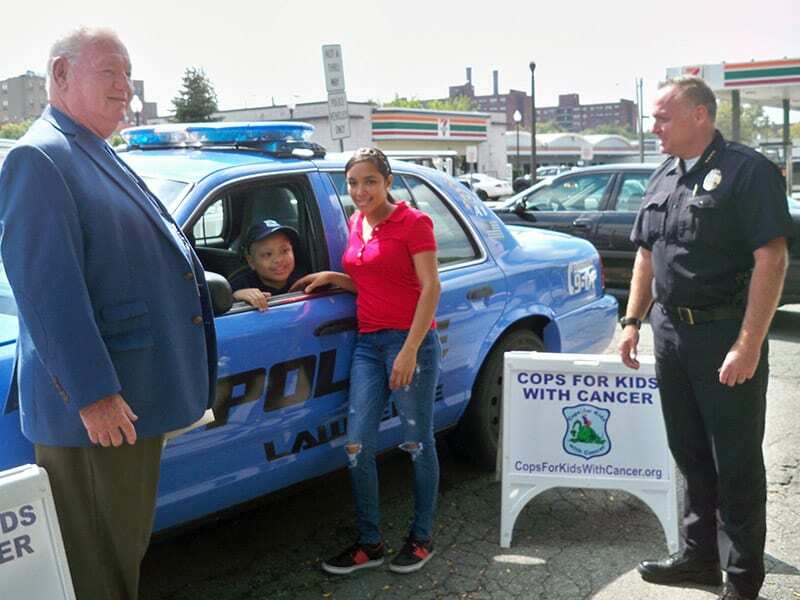 Photo – L-R Chief James Fitzpatrick , Ed McNelley, Stacey Abato. Front Carlos and mom Giraldi.